The Tetons offer a dizzying array of majestic views. 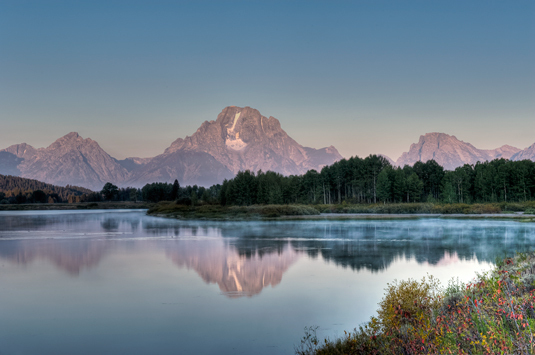 We captured the Grand Tetons at Schwabachers Landing at sunrise. 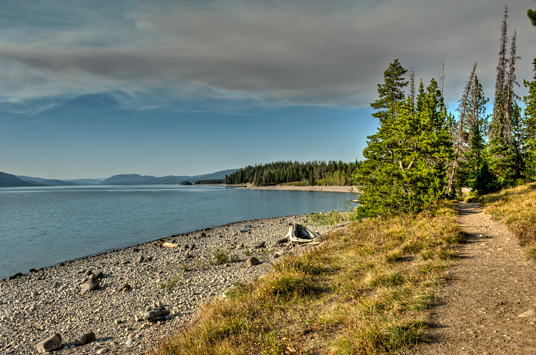 This is a lovely beaver pond area that offers great reflections. 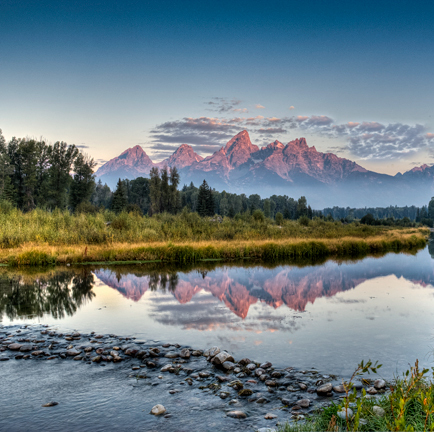 Oxbow Bend along the Snake River at sunrise. 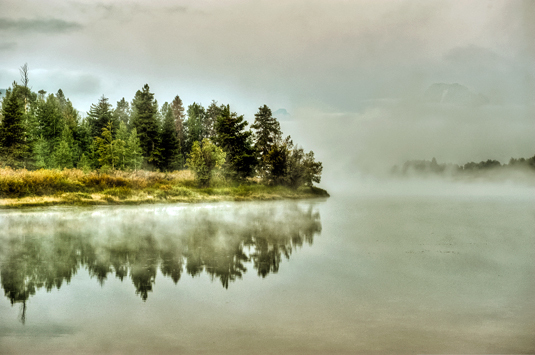 A shot of the morning mist on the Snake River near Oxbow Bend. The sounds of nature early in the morning is just an amazing show.